Rhodeworks are an award-winning bluegrass folk band who play fast paced, high energy folk music, presenting a set of traditional and well-loved bluegrass alongside their original material. 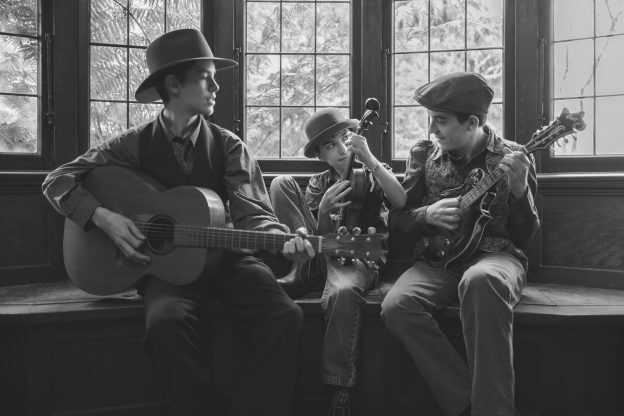 Laurence (17), Sam (15) and Nate (12) are largely self-taught multi-instrumentalists and vocalists who have performed at festivals throughout NZ and Australia. Including, MountainGrass, Auckand Folk Festival, WellyFest, HamsterFest, Hamilton Gardens Arts Festival, and Aongatete. In 2017 they were recipients of the Frank Winter award for their Outstanding Musical and Vocal talents. This entry was posted in Shows and tagged Full concert on November 27, 2018 by Jenine Abarbanel.